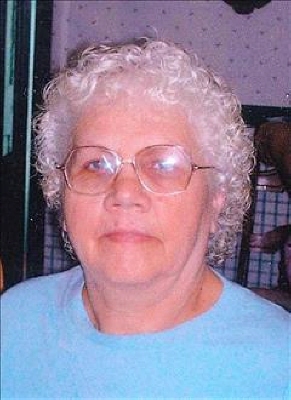 Louise Marie Bailey, 76, of Lima, OH, formerly of Russells Point, OH, passed away, Sunday, September 16, 2018 at Indian Lake Rehabilitation Center. Louise was born on January 23, 1942 in Celina, OH, a daughter of the late Gerhard and Fredonia Schnelle Leugers. She married Frank D. Bailey, Sr. on December 19, 1959 and he preceded her in death on April 14, 2001. She was also preceded in death by a sister, Shirley Motter, two brothers, Jim Leugers and Gary Leugers, Jr., a niece and five nephews. She is survived by two daughters, Tammy (Ronnie) Butcher of Chillicothe, OH, Connie (Jamie Sims) McNeal of Lima, three sons, Frank Bailey, Jr. of Russells Point, John (Tonya) Bailey of Jackson Center, OH, and Richard (Mindy) Bailey of Lakeview, OH, 13 grandchildren including a special granddaughter, Tiffany, whom they raised, 29 great grandchildren include a special great grandson, Kalaeb, five sisters, Judy (Delbert) Knisley of Washington Court House, OH, Sharon (Ron) Amrine of West Mansfield, OH, Hope (Ken) Martin of Bellefontaine, OH, Mary (Bill) Comer of Huntsville, OH, and Joy Tavenner of Russells Point, four brothers, Joe (Kathy) Leugers and Wayne Leugers of Lakeview, Mike (Sue) Leugers of Huntsville, and Roger (Kim) Leugers of Belle Center, OH, and several nieces and nephews. Louise retired from Westinghouse in Bellefontaine in 1985 and then from Holloways in Jackson Center in 2005. She enjoyed collecting salt and pepper shakers, Pillsbury Doughboy collectables, crocheting blankets, and canning apples. She was a "diehard" fan of the OSU Buckeyes, Cleveland Browns and Altlanta Braves. She loved and cherished her family. Funeral services will begin at 11:00 am, Thursday, September 20, 2018 at Shoffstall Funeral Home, 205 S. Main St. Lakeview. Visitation is Wednesday, September 19th from 2-4 and 6-8 pm at the funeral home. Burial is in Huntsville Cemetery. It is requested that the apparel of your favorite sports team be worn. Memorial Contributions may be given in her name to Logan County Cancer Society c/o Mary Rutan Hospital, 205 Palmer Ave., Bellefontaine, OH 43311. To send flowers or a remembrance gift to the family of Louise Marie Bailey, please visit our Tribute Store. "Email Address" would like to share the life celebration of Louise Marie Bailey. Click on the "link" to go to share a favorite memory or leave a condolence message for the family.